The ILDC Group owns a Commercial Center in the town of Reut since 1991. This commercial center has two floors and a total area of approximately 8,500 sqm (Commercial floor and Offices floor). 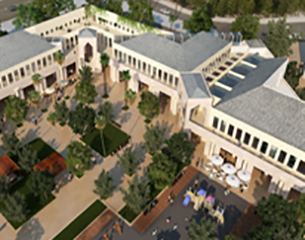 In the Commercial Center different tenants, including Shufersal, Bank Otsar Hahayal, Clalit Healthcare Services, Oshi Oshi, Lehem Erez, Toni Vespa Pizzeria, Yoel Geva School and Post Office.